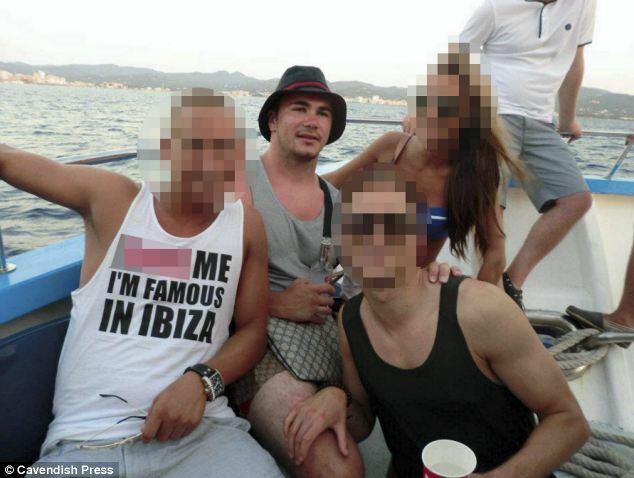 Smiling for the camera on a speedboat in Ibiza or leaning on the bonnet of high-performance sports cars, these photographs appear to show two wealthy young men enjoying the high life. In fact, cousins Aaron and Jamie Corkovic are violent criminals who were behind a £90,000 heist from a supermarket cash delivery van during which a security guard was bludgeoned over the head with a sledgehammer. 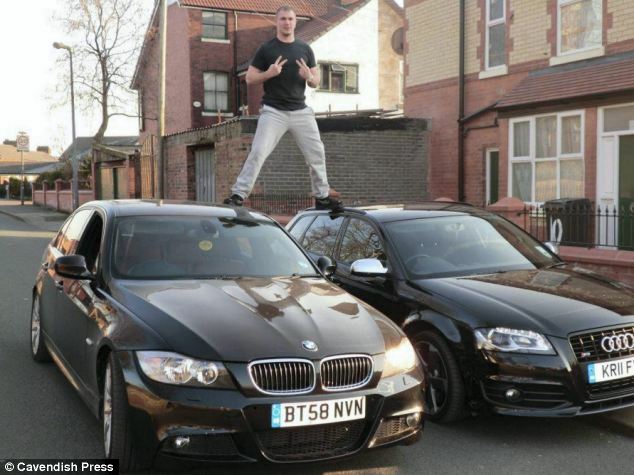 Police said the Facebook album showing the pair, from Salford, Greater Manchester, posing with a fleet of expensive cars showed their ‘complete and utter contempt’ for the law. Aaron, 25, and Jamie, 23, together with accomplice Lee Waring, 23, stole the money after targeting a cash delivery driver at a Morrisons supermarket in Whitefield, Manchester, on March 29 this year. The trio then hijacked a series of cars as they and an accomplice tried to flee the scene of the robbery when police gave chase. CCTV footage from the scene showed the gang ambushing the security guard as he made his delivery, hitting him over the head and back with a sledgehammer. When police alerted to the raid arrived on the scene the robbers – who were wearing balaclavas and gloves – hijacked cars to use as getaway vehicles, dragging owners from their drivers’ seats before making off with the cash. But officers managed to apprehend the trio and recover the stolen money. 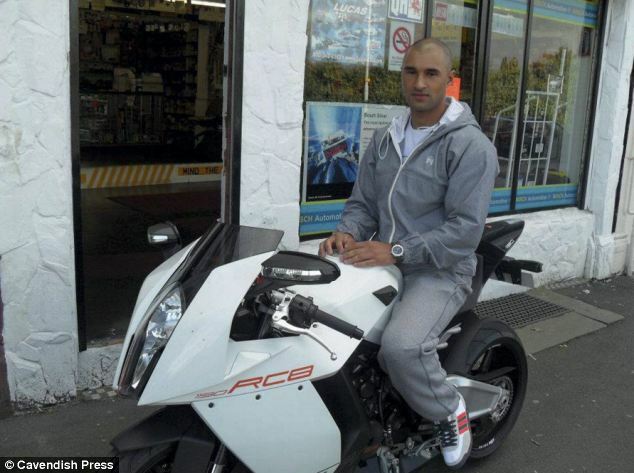 Greater Manchester Police said the security guard escaped serious injury only because he was wearing a helmet. The album posted on the social networking site features the pair posing with an array of sports cars and motorcycles, often while sporting eye-wateringly expensive watches and designer accessories. Another picture shows the speed dial in one of the Corkovic’s cars taken as they drove it at 164mph. Detective Constable Richard Castley from Greater Manchester Police said: ‘The offenders in this case have shown that they were willing to use violence to get what they wanted and I hope that this result sends a clear message to how seriously we take offences of this nature. Another officer said: ‘This was a horrendous incident where innocent people just doing an honest day’s work were left terrified. In January 2009 Jamie Corkovic’s younger brother Anthony, then 19, was jailed for six years and eight months for attempted robbery. He was at the wheel of a getaway car when a gang armed with a sledgehammer tried to hold up a security van delivering money to a cash machine at a Lancashire convenience store the previous July. The robbery failed after the cash was safely locked away in time before the robbers struck, but Anthony was caught after his DNA was found on an orange carton. The other raiders were not traced.